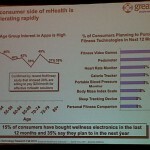 Look at the uptake of wellness electronics. Look at the bottom of each slide, starting with the second one. 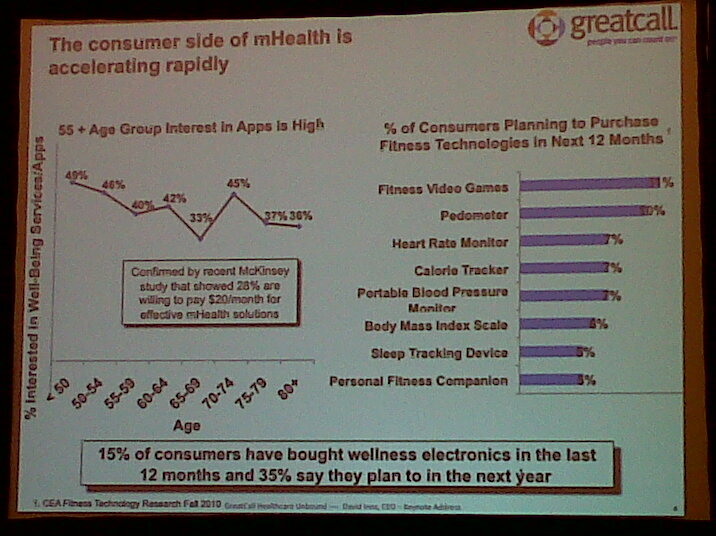 According to GreatCall, maker of the Jitterbug phone for seniors, 35 percent of consumers plan to buy “wellness electronics” in the next year. That’s great news and a great opportunity for people in health IT to make sure such devices connect to larger networks to data collected will be usable. 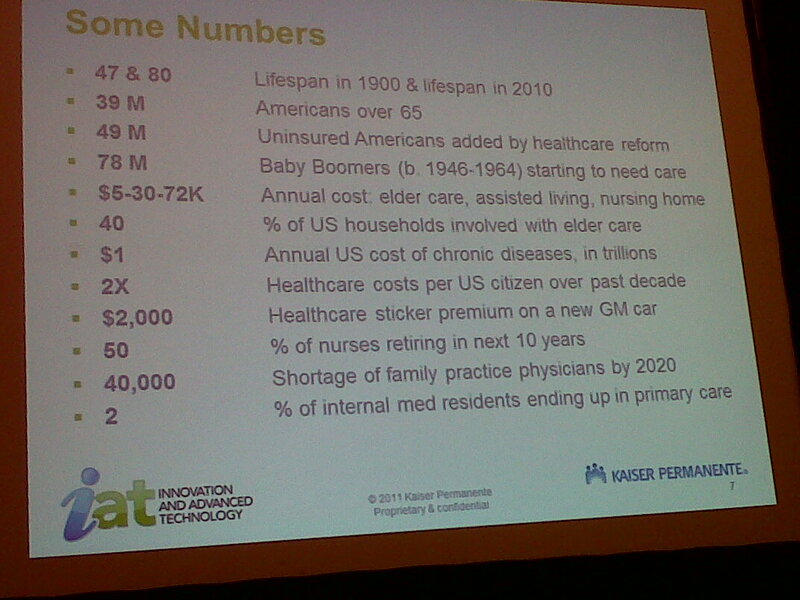 In the upper slide, Kaiser Permanente cites numbers showing one reason why healthcare is in such a crisis. Again, look at the bottom. 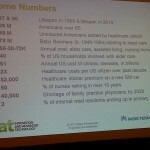 Just 2 percent of current residents in internal medicine will end up in primary care. That’s not exactly reassuring in the face of a projected shortage of 40,000 family practice physicians by 2020. Thus, connected devices will gain in importance as an adjunct to primary care for the purpose of disease management. Really, it could be our only hope.